Iran achieved 4 million barrels per day oil production less than a year after lifting nuclear sanctions, Managing Director of National Iranian Oil Company (NIOC) Ali Kardor said on Monday. 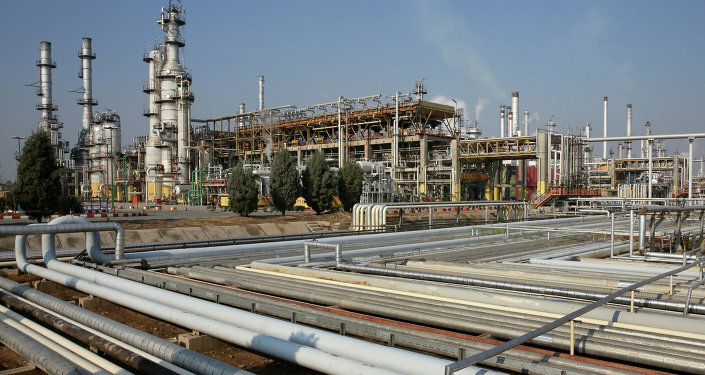 MOSCOW (Sputnik) – Addressing the Petroleum Ministry officials, Kardor said that Iran was able to maintain its 14 percent quota in the Organization of the Petroleum Exporting Countries (OPEC), according to the IRNA news agency. The official also announced further increase of oil production. "Our oil production capacity should reach 5.2 or 5.7 million bpd," Kardor said. Iran has been re-entering the global oil market after in January the European Union, the United Nations, and partially the United States lifted their sanctions against the Islamic Republic after the International Atomic Energy Agency (IAEA) verified Tehran’s compliance with a nuclear agreement reached in July 2015.